Valentine’s Day is quickly approaching! Have you gotten your gifts for that special someone yet? Valentine’s Day is quickly approaching! Have you gotten your gifts for that special someone yet? This Valentine’s Day, consider making it extra special by stopping into local shops for some unique gifts that will knock their socks off! Small shops usually have a better selection than the big places, and you’re supporting your community too. Here are some more reasons you should shop small for your Valentine. When you shop local businesses in your community this Valentine’s day, much more of your money stays local. A recent study estimates that when people shop in their local communities, close to 70% of what you spend stays right there supporting the community. That number is cut in half for the big box stores, and almost nothing stays local when shopping online. Did you know that a vibrant and thriving Main Street-type shopping area nearby can actually raise property values in your community? Potential buyers will see that, and they will want to live close by so that they can visit again and again. When you shop at a local business, you are supporting your neighbors. Local businesses hire people from their communities, donate to charities, and sponsor kids on the local little league teams. Shopping at a local business means you’re helping a family pay their mortgage, send their kids to summer camp, or paying medical bills. You’re supporting a person, not a corporation. Strolling in and out of little shops is just plain fun! Those small businesses have some cool, unique gifts that you just can’t get anywhere else. Sure, plush toys with heart-shaped everything are okay, but they’re also made by the millions. You can find things like that at any big-box store. But there are so many unique choices at the local places. Many local shops stock handmade gifts. 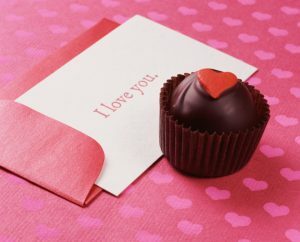 Head to WockenfussCandies.com and browse our wide selection of chocolates and candies; we promise you will not be disappointed! Wockenfuss Candies is one of the oldest candy makers in Baltimore. We opened our doors in 1915 and have proudly served the people of Baltimore ever since. If you have any questions about our Wide Selection of Chocolates, please contact Wockenfuss Candies by calling 1-800-296-4414 or email info@Wockenfusscandies.com. When you’re not savoring our sweets, stay satisfied by following us on Facebook, Twitter, Google+, and Pinterest! This entry was posted on Friday, February 9th, 2018 at 4:06 pm. You can skip to the end and leave a response. Pinging is currently not allowed.